Are you a fan of music? Dance? Horses? Then you’re about to fall in love. In the fall of 2012, a short film entitled Instinct of Color showcased four colors by nail polish brand OPI. The result is one of the most stunning commercials I’ve ever seen. 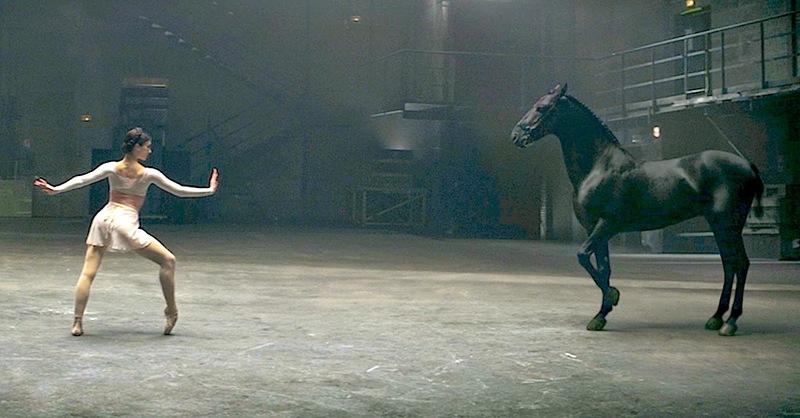 The star of the ad is, of course, the beautiful horse named Lady in Black. Described as a thoroughbred, the horse was trained by French equestrian stunt trainer Mario Luraschi. While some of the dressage movements are indeed authentic, Lady in Black’s incredible movements are also thanks to some very skilled Photoshoppers, along with 3-D animation. Animation or not, this commercial goes way beyond a beauty ad. Check out Instinct of Color below... This is a straight-up masterpiece!! Please SHARE this fabulous ad with your friends on Facebook!